We’ve seen a variety of iPhone 8 leaks over recent months and now a new set of renders has emerged, this time courtesy of GizOK. 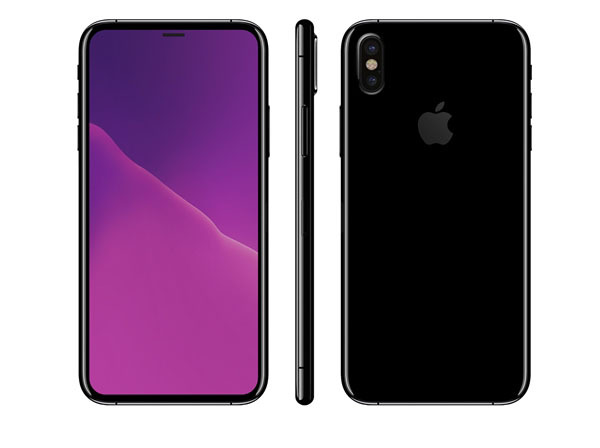 The renders show the iPhone 8 with a nearly edge-to-edge OLED display, as well as stainless steel edges similar to that of the iPhone 4. On the back of the device you can see an all-glass deign, as well as a vertical dual-camera design. It has been reported in the past that the iPhone 8’s vertical dual-camera array could lend itself to advanced augmented reality features. One thing that isn’t explicitly clear from these renders and the CAD drawings is the placement of the Touch ID sensor. At this point, it’s likely that the Touch ID sensor will either be located beneath the display or integrated into the Apple logo on the back of the device. Earlier today, an investor note from KGI elaborated on the iPhone 8, iPhone 7S, iPhone 7S Plus production issues. The note explained that it’s looking increasingly likely that the iPhone 8 will face prolonged supply shortages due to the drastic component overhaul. This wasn’t the first time we’d heard about iPhone 8 delays, either.